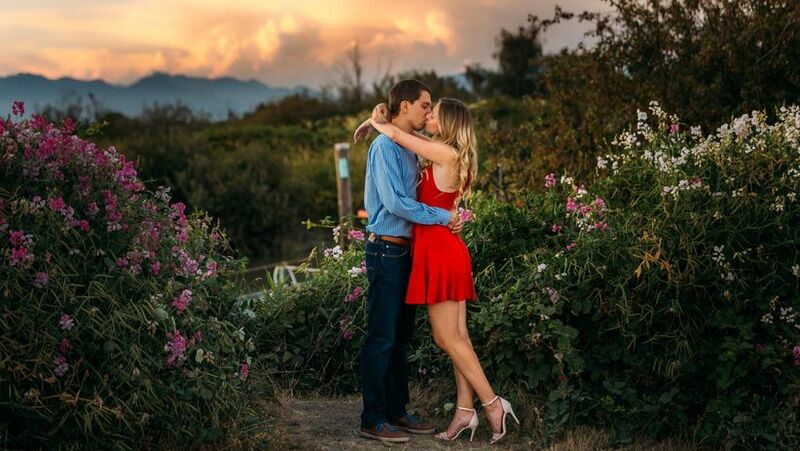 10 Tried and True Engagement Photo Locations | Wedding Ideas ARE YOU A VENDOR? Congratulations, you just said yes! You’re probably over the moon with excitement and want to share the good news with everyone you know. 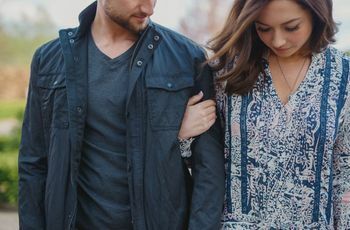 Engagement photos are a great way to spread the word, so it may be time to hire a wedding photographer and scout engagement photo locations. If you don’t know where to model it out, we’ve put together a list of amazing photo shoot spots worth considering. 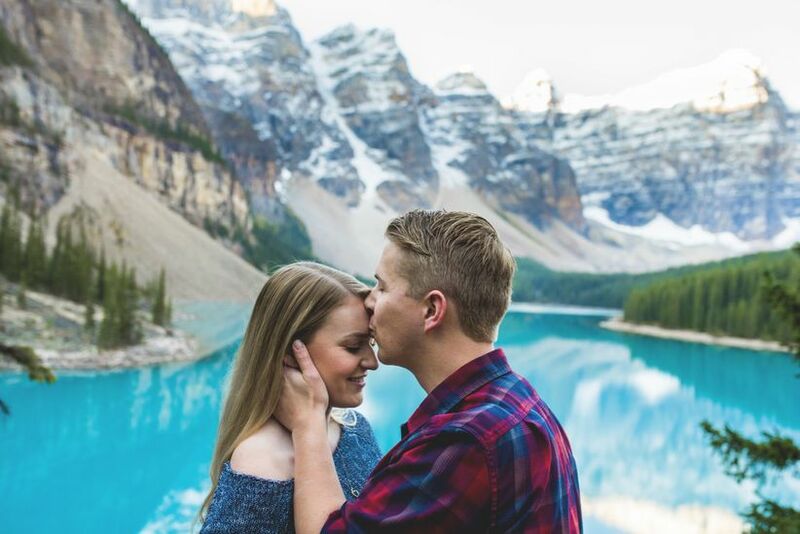 Here are a few tried and true engagement photo locations. Home is where the heart is! Invite your photographer to your house or apartment (after a thorough cleaning sesh, of course) to take engagement photos in your natural habitat. There are endless benefits to using your own space, from including pets to having your entire wardrobe at your disposal, so it’s definitely a location worth considering. 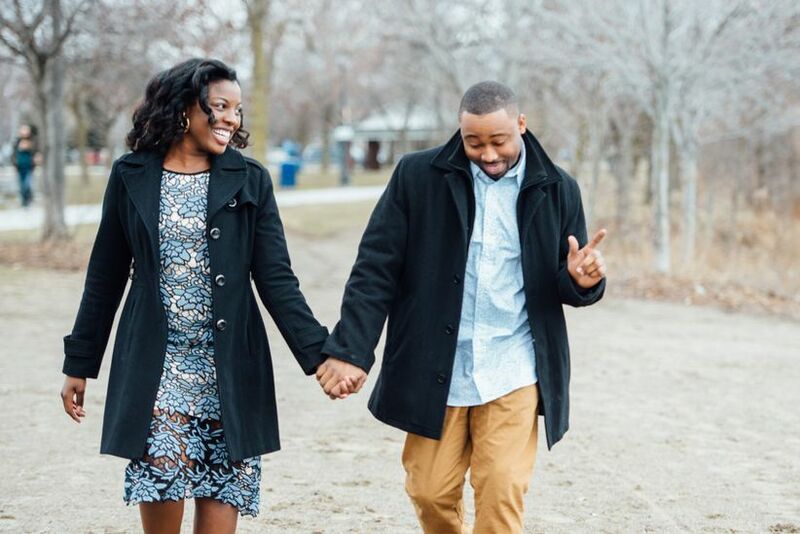 Take a walk down memory lane and head back to school for your engagement photo shoot. Your campus is probably filled with beautiful spots, though you may not have noticed while you were cramming for exams and struggling to finish papers. Tip: you’ll want to aim to shoot during reading week or a holiday so that you don’t have to dodge students while posing. In the wise words of Arthur, “having fun isn’t hard, when you’ve got a library card”, so mosey on over to your local literary mecca and make use of what’s inside. The stacks make for an awesome engagement photo location and you’ll have hundreds of props to work with. If you want to up the cute factor, get some shots with your favourite books and (if you’re really committed) sport outfits similar to those that the characters wear - a little cosplay never hurt anyone. Make your engagement photo shoot a walk in the park - literally. Head to your favourite greenspace and soak in everything it has to offer. You may not have noticed, but it’s probably filled with amazing backdrops - bridges, ponds, gardens, forest, baseball diamonds...you name it - and we suggest making use of them all. Bonus: if you want to make your photos even more adorable, bring along your dog and get them in a few shots too. 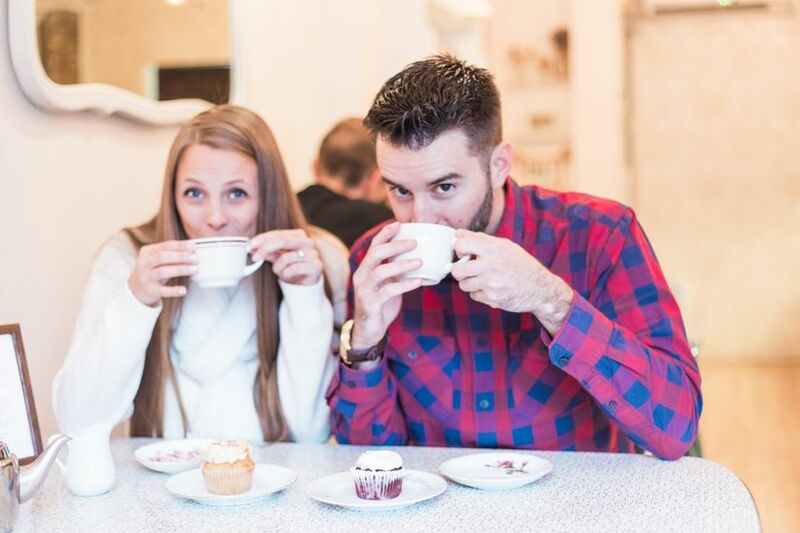 If you’re looking for a laid back engagement photo location, make your way to your favourite coffee shop. Order a couple of drinks - those will be your props - and pose it out by the bar, in your go-to seats and outside (the more backdrops you try out the better). If your barista can create you some lovey dovey latte art, even better. 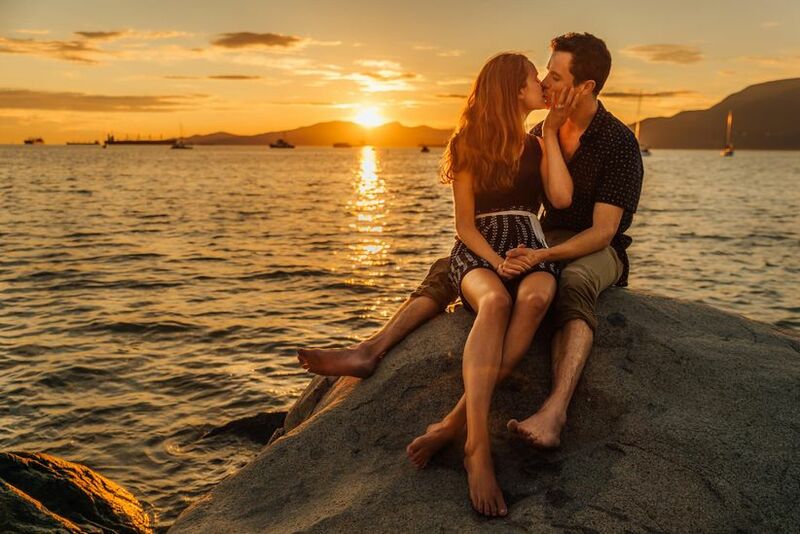 You can’t go wrong with a waterfront engagement photo location. It’s free, it’s stunning and if you aim for golden hour, the lighting is unbeatable. P.S. if you’re doing your shoot in the winter, you’re not totally out of luck - many bodies of water turn into ice rinks in the cooler months, and those are awesome for photoshoots, too. 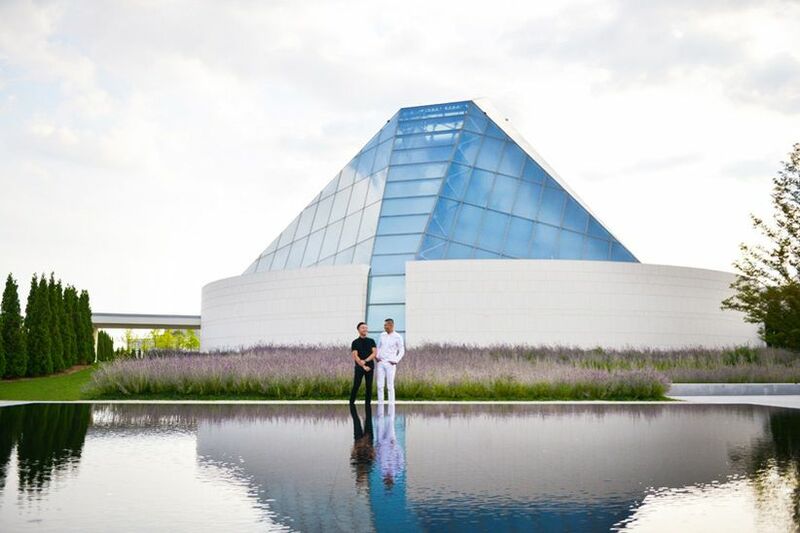 If the two of you are total history buffs, a museum might just be the perfect place to pose for your engagement photos. Whether you love dinosaur bones, hieroglyphics, rare gems or greek mythology, you should be able to find a backdrop that fits the bill. 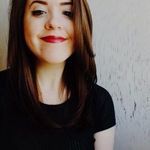 Pro tip: you’ll definitely want to call ahead if you plan on going this route, as there may be fees and restrictions regarding where you can and cannot shoot. 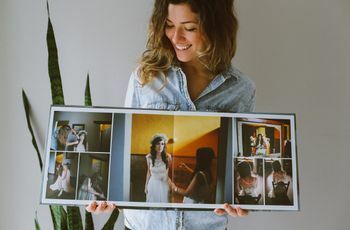 Want to give your engagement photos serious artsy vibes? 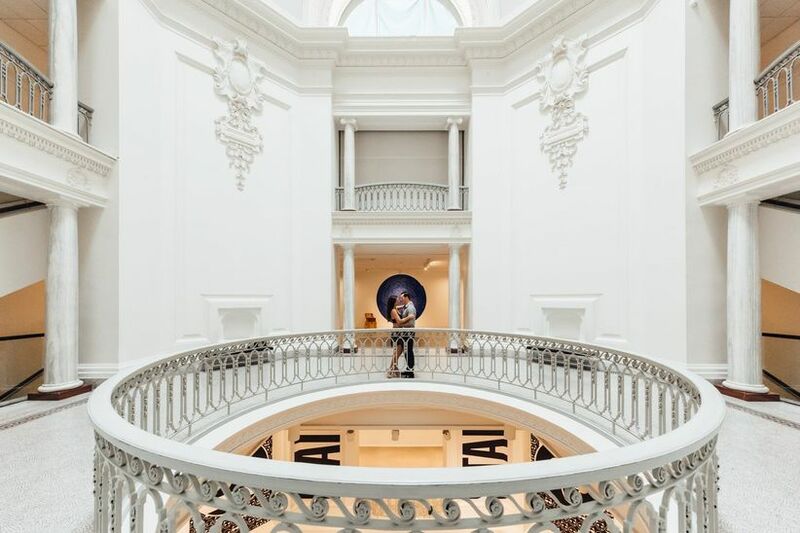 Paintings, sculptures and amazing architecture are all gallery hallmarks, so you should have no trouble finding an awesome spot to pose for your pics. Just like you would with a museum, you’ll want to call ahead to ask which spaces are bookable for shoots and how much a rental will run you. If you want to infuse your engagement photos with a bit of flower power, a garden is the way to go. Lush greens and bright blooms will add an element of fairytale beauty to your pics and probably give you some inspo for your wedding bouquets and centerpieces. 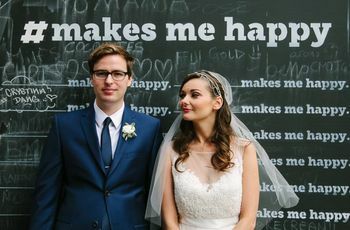 Remember, if you’re hosting your wedding in the winter, not all hope is lost - all you have to do is head to a indoor botanical garden (Ontario has plenty). From natural treasures like Rockies to man made wonders like CN Tower, Canada is home to some pretty amazing stuff. If you want to pay homage to the province or city you call home, try to work your local landmark into your shoot. You may have to dodge a few tourists to get an amazing picture, but the end result will be well worth it.